Calvert, headquartered outside Washington, DC in Bethesda, MD, has been setting industry standards for investment management excellence since its founding in 1976. Calvert has never measured success by numbers alone. While strongly committed to seeking competitive returns for our investors, Calvert’s investment approach goes beyond traditional measures to uncover companies with long-term value and responsible corporate practices. We offer expertise across a wide range of asset classes and styles and strive for client service excellence and integrity. Calvert serves individual and institutional investors as well as professional financial advisors nationwide. 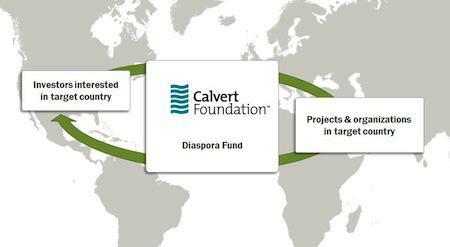 Today, more than 400,000 investors entrust over $13 billion in assets to Calvert. As a company, Calvert is actively committed to transparency and corporate responsibility as a core value—both inside and out. At Calvert, we value a diverse workforce and seek to represent the diversity of the Washington, D.C., metropolitan area among our associates. We have a policy of actively hiring and promoting women and minorities, reflected in a workforce with 33 percent minority representation. (For more details, see our Corporate Sustainability Reports). Calvert provides its employees with a flexible, benefit-rich, family-friendly work environment to promote a healthy work-life balance. We also encourage community involvement and volunteer activities, and have strong corporate philanthropy policies that provide financial assistance to many local charities and community institutions. Full-time Calvert employees have the opportunity to take one paid day per month to perform community service. Externally, Calvert partners with many non-governmental organizations (NGOs) in its advocacy work, whether to advance causes such as an end to the genocide in Sudan or to engage with companies that might not meet the funds’ ESG criteria. Calvert founders D. Wayne Silby and John G. Guffey, Jr. together established Calvert in 1976 and launched the First Variable Rate Fund for Government Income, which offered the first variable-rate government money market fund in the country. It offered an innovative mix of short-term, fixed-rate securities with long-term, variable-rate securities to provide attractive yields, as well as a strong measure of safety. In 1982, Calvert’s innovation continued with the introduction of the Calvert Social Investment Fund (CSIF), a group of portfolios that incorporated environmental, social and governance (ESG) criteria into their investment-selection process. The CSIF portfolios quickly grew to include not only money market but also fixed income and equity portfolios. CSIF portfolios are now part of Calvert Signature™ Strategies that evaluate companies across seven broad areas of sustainability criteria. In 2008, to meet the needs of an increasingly diverse group of SRI investors, Calvert continued its innovation by introducing the Calvert Solution™ and Calvert SAGE™ Strategies. In addition, we seek to influence corporate and business practices through such initiatives as Calvert Women’s Principles®, shareholder advocacy, and publication of the Calvert Corporate Sustainability Report. Externally, Calvert partners with policymakers, non-governmental organizations (NGOs), other SRI firms, and government agencies in our advocacy work—whether to advance causes such as an end to the genocide in Sudan, promote policies addressing global climate change, or advocate for Indigenous Peoples’ rights. Working with Harvard professor George Serafeim, we examine how companies are better managing their impacts on society and the environment. Companies are investing heavily in efforts to manage their impacts on society and the environment, which translates to real benefits for businesses and investors. The public has formed social expectations that have guided the corporate sectors’ increased involvement in contributing to social and environmental solutions. Economic motives are among the key drivers of companies’ social sensitivity. Corporations are assuming broader responsibilities that increasingly affect their valuation in the stock market and their value to society.